For a small moment have I forsaken thee but with great mercies will I gather thee. In a little wrath I hid my face from thee for a moment but with everlasting kindness will I have mercy on thee, saith the LORD thy Redeemer. When wisdom entereth into thine heart, and knowledge is pleasant unto thy soul Discretion shall preserve thee, understanding shall keep thee. 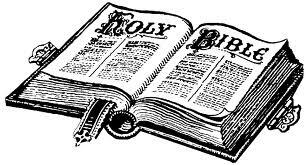 All scripture is given by inspiration of God, and is profitable for doctrine, for reproof, for correction, for instruction in righteousness That the man of God may be perfect, throughly furnished unto all good works. And not only so, but we glory in tribulations also knowing that tribulation worketh patience And patience, experience and experience, hope And hope maketh not ashamed because the love of God is shed abroad in our hearts by the Holy Ghost which is given unto us. As God liveth, who hath taken away my judgment and the Almighty, who hath vexed my soul All the while my breath is in me, and the spirit of God is in my nostrils My lips shall not speak wickedness, nor my tongue utter deceit. God forbid that I should justify you till I die I will not remove mine integrity from me. My righteousness I hold fast, and will not let it go my heart shall not reproach me so long as I live. For what is the hope of the hypocrite, though he hath gained, when God taketh away his soul. Be not deceived God is not mocked for whatsoever a man soweth, that shall he also reap. Be strong and of good courage be not afraid, neither be thou dismayed for the Lord thy God is with thee whithersoever thou goest. Every man according as he purposeth in his heart, so let him give not grudgingly, or of necessity for God loveth a cheerful giver. And God is able to make all grace abound toward you that ye, always having all sufficiency in all things, may abound to every good work. For I the LORD thy God will hold thy right hand, saying unto thee, Fear not I will help thee. For the kingdom of God is not meat and drink but righteousness, and peace, and joy in the Holy Ghost. For the wages of sin is death but the gift of God is eternal life through Jesus Christ our Lord. He that hath received his testimony hath set to his seal that God is true. For he whom God hath sent speaketh the words of God for God giveth not the Spirit by measure unto him. The Father loveth the Son, and hath given all things into his hand. Know ye not that ye are the temple of God, and that the spirit of God dwelleth within you If any man defile the temple of God, him shall God destroy for the temple of God is holy, which temple ye are. Neither shall they say, Lo here or, lo there for, behold, the kingdom of God is within you. Now the Spirit speaketh expressly, that in the latter times some shall depart from the faith, giving heed to seducing spirits, and doctrines of devils Speaking lies in hypocrisy having their conscience seared with a hot iron Forbidding to marry, and commanding to abstain from meats, which God hath created to be received with thanksgiving of them which believe and know the truth. For every creature of God is good, and nothing to be refused, if it be received with thanksgiving For it is sanctified by the word of God and prayer. THE Spirit of the Lord GOD is upon me because the LORD hath anointed me to preach good tidings unto the meek he hath sent me to bind up the brokenhearted, to proclaim liberty to the captives, and the opening of the prison to them that are bound To proclaim the acceptable year of the LORD, and the day of vengeance of our God to comfort all that mourn. This then is the message which we have heard of him, and declare unto you, that God is light, and in him is no darkness at all. If we say that we have fellowship with him, and walk in darkness, we lie, and do not the truth But if we walk in the light, as he is in the light, we have fellowship one with another, and the blood of Jesus Christ his Son cleanseth us from all sin. If we say that we have no sin, we deceive ourselves, and the truth is not in us. If any man among you seem to be religious, and bridleth not his tongue, but deceiveth his own heart, this man’s religion is vain. Pure religion and undefiled before God and the Father is this, To visit the fatherless and widows in their affliction, and to keep himself unspotted from the world. a lot. I hope too give somehing bacxk and aaid others like you ajded me.